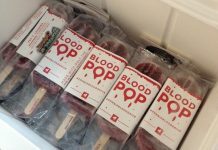 While we wait for the zombie apocalypse to come and battle for survival in real life, we can certainly get prepared and entertained at the same time by playing some zombie board games. 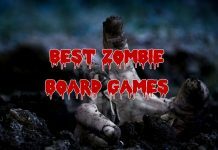 I am a huge fan of board games (and obviously zombies) and therefore I have decided to share with you a list of the 10 best Zombie Board games that you should play with your friends. I have decided not to place these zombie board games in a specific order – they are all extremely fun and enjoyable and I am sure you’ll love playing them all. 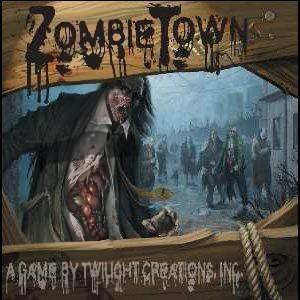 Check out the list below and let me know if you agree that these are the 10 Best Zombie Board Games ever! 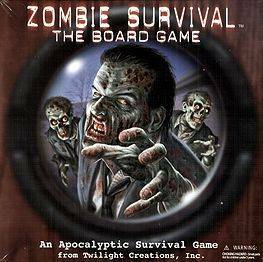 Even though most of the popularity of this zombies board game comes from the fact that it’s based on the hit TV series, The Walking Dead Board Game is actually a pretty solid title. Even better, you can play as the zombies too, not only as the survivors and I am sure you’ll love creating alliances with other players, blow zombie heads with shotguns and fight to make it back to camp alive. High replayability value, each game lasts around 1 hour and can be played by 2 to 4 players. 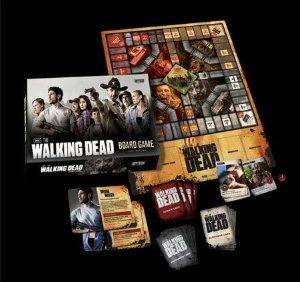 Click here to get The Walking Dead Board Game and find out more about it. 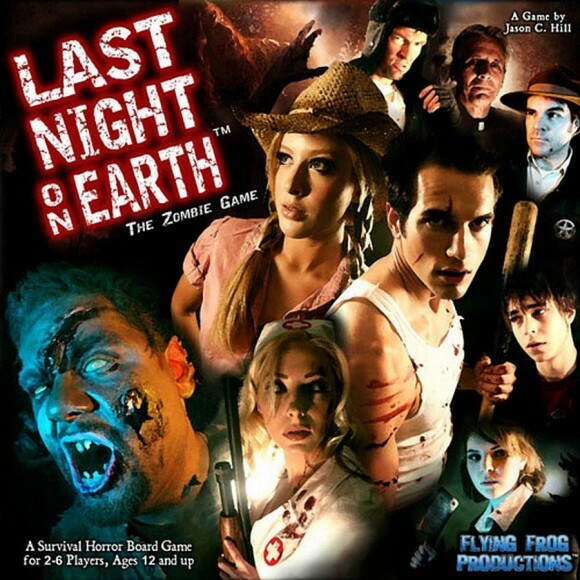 A modular board game that can be played by up to six players and lasts between 60 and 90 minutes, Last Night on Earth offers a truly cinematic experience to players: as the Heroes, you will be fighting against the hordes of zombies to make it through the night or, if you prefer, you can play as the enemy and do your best to stop the heroes. The game comes with several scenarios that change the game so replay value is really high, making this board game one of the best zombie ones out there. Click here to find out more about Last Night On Earth – The Zombie Game. 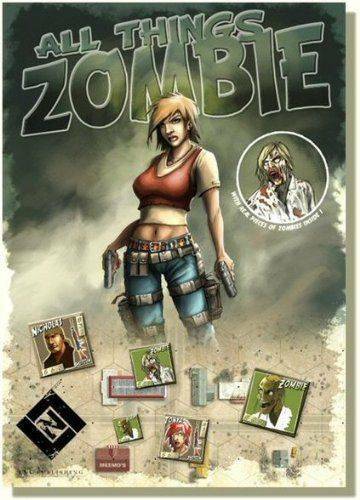 Probably one of the best known and most successful Zombie board games, Zombies!!! (which also has a ton of expansions for you to try) puts you in the middle of the action as you try to escape the ever advancing zombie horde. Players must use a combination of wits and brawn to be the first to the heliport and certain escape. The only problem is, the zombies are everywhere, they appear to be very hungry and your opponents would really prefer if you didn’t escape. Games can last up to two hours and the base game can be played by up to 6 players. Click here to get and find out more about the amazing board game Zombies!!! 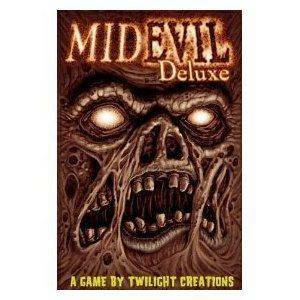 A spin-off (there are very few of these in the world of board games), MidEvil Deluxe is based on Zombies!!! – the survivors have escaped, only to find themselves facing other dangers. Although this is not really a zombies board game, it fits the description of the undead (you battle skeletons here) and is really fun! 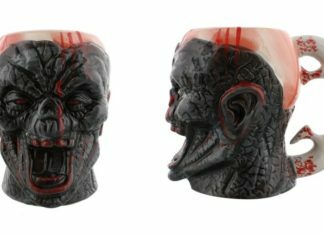 Check out Amazon’s page for MidEvil Deluxe for more details. You are the world leader of a group of nations. Each turn zombies feed and randomly spread throughout your territory quickly reducing your population and increasing the number of zombies. At the beginning of the game you have no technologies or military that are effective against the viral threat on a worldwide scale. Each turn you must maximize the use of resources to draft and use military test technologies and then strategically use these successfully tested technologies. 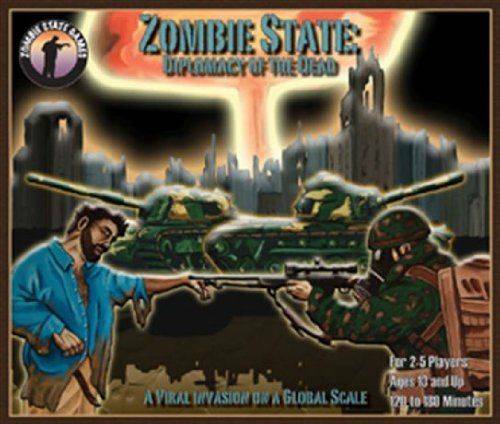 As the game progresses outbreaks and the spread of zombies makes the game more difficult through a loss of population resources and freedom to act. Find out more here. The dead are rising from the graveyard which is conveniently located in the middle of your residential neighborhood. There is no way out of the neighborhood, so you must scrounge as much stuff (weapons, barricades, survivors, etc.) from your neighbors to survive until help arrives. 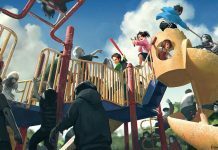 The game lasts for 10 days, and by the 10th day the neighborhood is filled with zombies to say the least and your neighbors are no longer your friends. A minimum of three players is required to play the game (max 6) and you can find out more about Zombie Town on Amazon. Each counter represents one survivor or one zombie. You choose your star, your mini-me if you will, and arm him or her with one of four weapon types. But you are not alone as you then recruit a fewother survivors to form your group.Then it is off to explore a beautifully detailed map representing deserted cities, suburbs, and rural areas. But are they really deserted? Not if you count thezombies, the seemingly endless hordes of zombies. But soon you realize that the zombies may be the least of your worries as you run into other survivors. Are they friendly or hostile? Well, the game mechanics determine that. With luck you can recruit them to use in future games. But sometimes it spins out of control. Which leads us to combat. There is two ways to have combat in ATZ. Trust me on this shooting is what you want to do. Yes, when facing one zombie it is easy to handle him in hand-to-hand combat but get them in bunches and that is when they are really dangerous. Better to shoot them from afar. Find out more about All Things Zombie here. 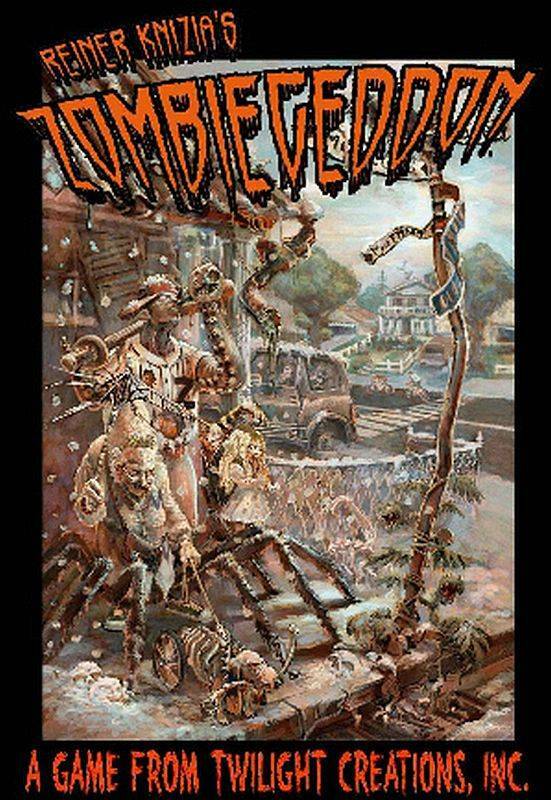 Reiner Knizia’s Zombiegeddon is a fast-paced, perfect-information, strategy game. Each player spends the first half of the game rushing around the board collecting supplies and trying to stop your pesky neighbors from taking stuff that is rightfully yours. (At least as far as you are concerned!) The second half of the game is spent trying to survive. Sure there is some good stuff around, but it certainly isn’t plentiful and let’s face it, everyone is still trying to take it before you do! (Whoever has the most stuff at the end of the game wins!) Sounds nice? Then get the game here. 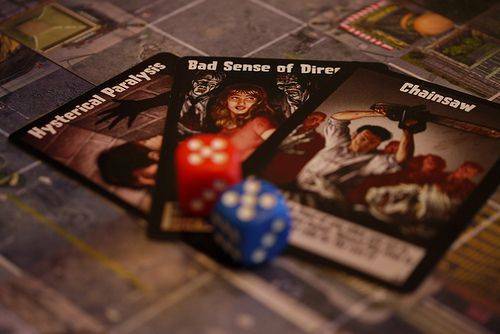 Now let us know which of these great zombie board games is your favorite!